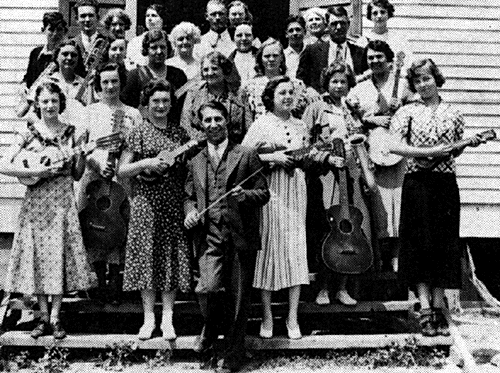 The federal support for music under the CWA began in late 1933 and ended in the middle of 1934 and during that time a number of orchestra were founded and supported through the program and a number of established orchestras recieved funding through the program to help weather the Great Depression. In a piece describing survey results of some fifty non-major orchestras in smaller American cities, Grace Overmyer (1934b) mentions some of these organizations. The Newark Civic Symphony Orchestra was one band fully supported and initiated by the CWA. She lists the Seattle Orchestra which received funds which fully paid for fifteen members of the orchestra during the 1933-1934 season. Also mentioned is the Syracuse Orchestra which was financed entirely by the C.W.A. “pending new plans for support” and a new symphony orchestra in North Carolina created solely through federal funding in 1934 which was approved as an Emergency Relief project. I previously posted about the Buffalo Symphony Orchestra (which eventually became the Buffalo Philharmonic) which existed purely through FERA, CWA, and WPA funding until 1939. Put in perspective (as I’ve done in a previous post), cries of classical music crisis today pale in comparison to what was happening during the Great Depression. Previous WWZS – What Would Zukerman Say?